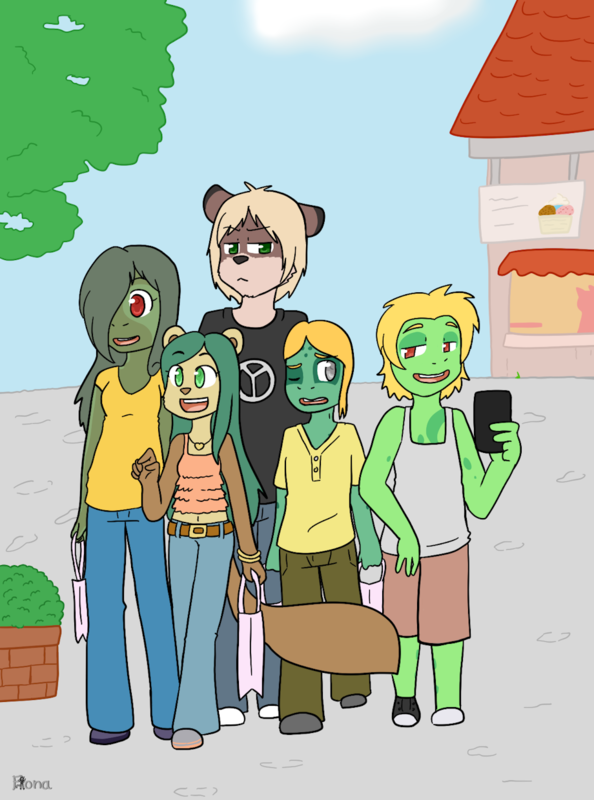 We made a time leap, showing the happy family on a shoping trip. Lee and Tamina are now young adults with three children, full of energy and pretty different characters. While Tamina and her daughter Asteria enjoy the fun of shoping things together, Lee is busy keeping his sons in line. This is the final page of the comic. I hope you all enjoyed it as much as I did. Feel free to tell me, what you think about it. At least you kid would be a pure blood then. And Asteria had a half sister she could hang out with. Make sure the tell Tamina, once your pregnant. She´s got all the tips you need during pregnancy. That was a great comic! I can't wait to see something similar to this! It´s not going to be the last comic I´m gonna order by Fiona. But first I need to safe up some money, before the next can be started.